DJ Steaks Branded Design :: INHOUSE Productions Ltd. Extending the client’s existing branding to print advertising, mailers, packaging, eblasts and vehicle signage. 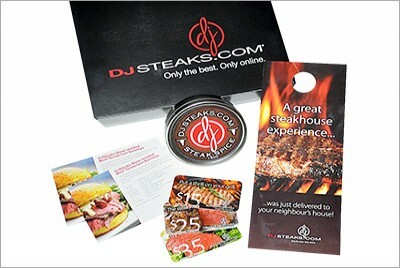 INHOUSE has worked with DJ Steaks since the fall of 2010, developing a wide range of promotional marketing materials for events, print advertising and eblasts.